The Aqua Weed Eradicator is only $115. 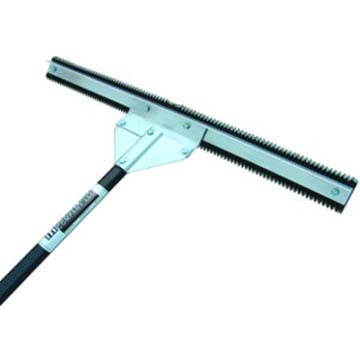 The Midwest Rake Aquatic Weed Eradicator has a sturdy blade that is excellent for controlling lake and pond weeds. The 28" wide blade cuts both the top and bottom. This aquatic weed cutter scours deep into the muck and removes weeds at their source. For a more complete, automatic solution, we recommend using the LAKEMAID®. The rake has two pieces: an 11' aluminum handle and a 28" blade.